Thirty of the most iconic cinematic masterpieces starring the most famous monsters of horror movie history come together on Blu-ray™ for the first time ever in the Universal Classic Monsters: Complete 30-Film Collection on August 28, 2018, from Universal Pictures Home Entertainment. 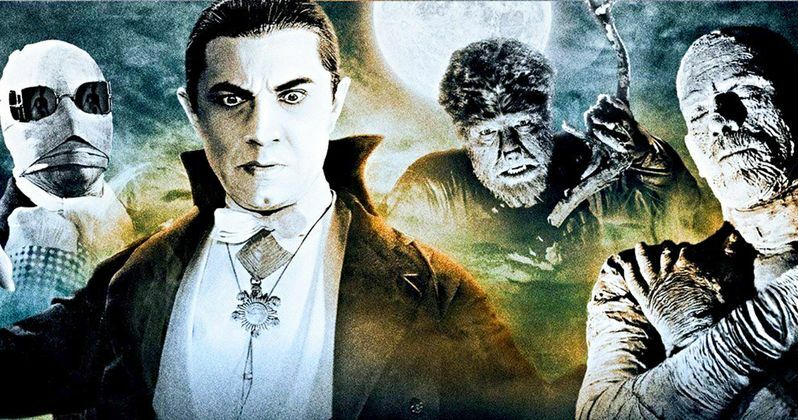 Featuring unforgettable make-up, ground-breaking special effects and outstanding performances, the Universal Classic Monsters: Complete 30-Film Collection includes all Universal Pictures' legendary monsters from the studio that pioneered the horror genre with imaginative and technically groundbreaking tales of terror in unforgettable films from the 1930s to late-1950s. Bonus features include Behind-the-Scenes Documentaries, 3D Versions of Creature from the Black Lagoon and Revenge of the Creature, 1931 Spanish Version of Dracula, Featurettes on Bela Lugosi, Boris Karloff, Lon Chaney Jr., and Jack Pierce, 13 Expert Feature Commentaries, Archival Footage, Production Photographs and Theatrical Trailers.